Open Music Labs products are available through SYNTHCUBE. We no longer take orders from this site, and are keeping it online for reference only. This product is manufactured by SynthCube. Everything you need to build a functioning Stomp Shield. You add the solder! Works with Arduino Uno and Duemilanove. Has gain, feedback, mix, and volume knobs, and 3-pole anti-aliasing filters. 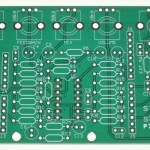 - 1 Stomp Shield Kit: PCB, pots, jacks, and components. 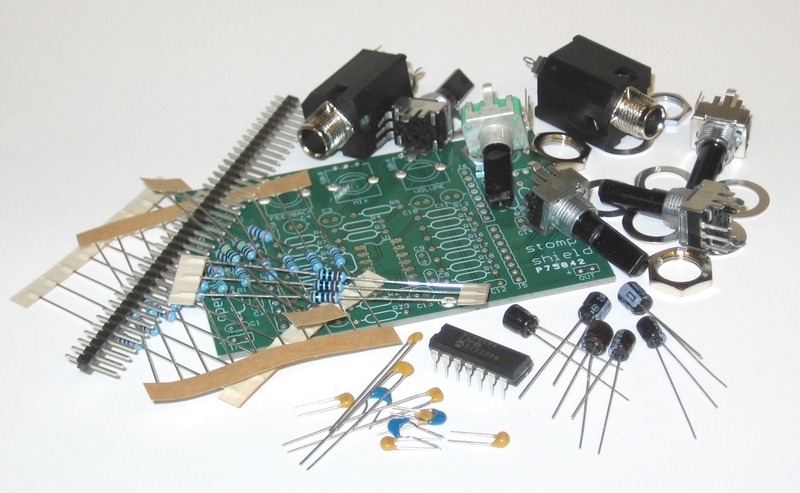 So you already have resistors and capacitors – no problem! 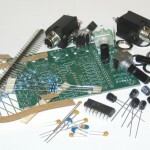 Want to use your own special opamp – no Problem! 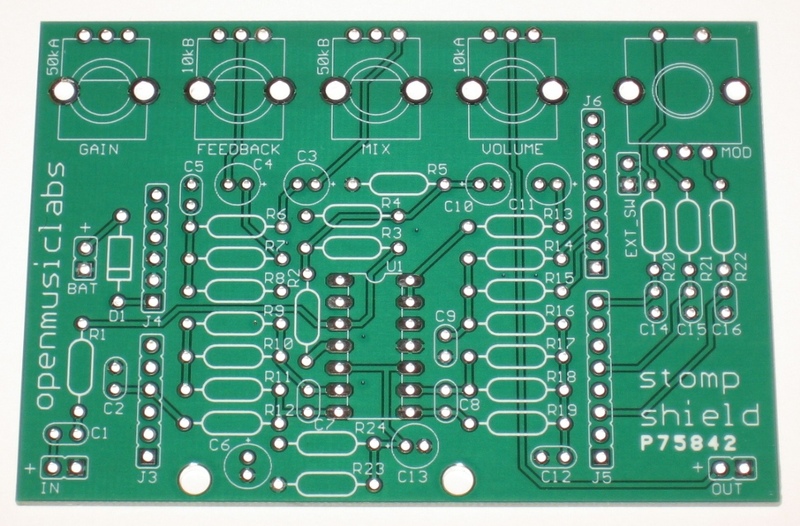 Just pick up a Stomp Shield PCB and build your own version of the shield.